Is today the day I catch that fish? and catch that golden fish. JOY is the setting of the sun on a very good day! JOY is the discovery of something created out of pure exuberance and love! JOY is visiting one of my all time favorite places and seeing a whale swim by! Notice what you notice today! What touches you and brings you JOY? Last week my husband and I had the opportunity to stay at the Eagle Rock Lodge. What a most wonderful place to stay. 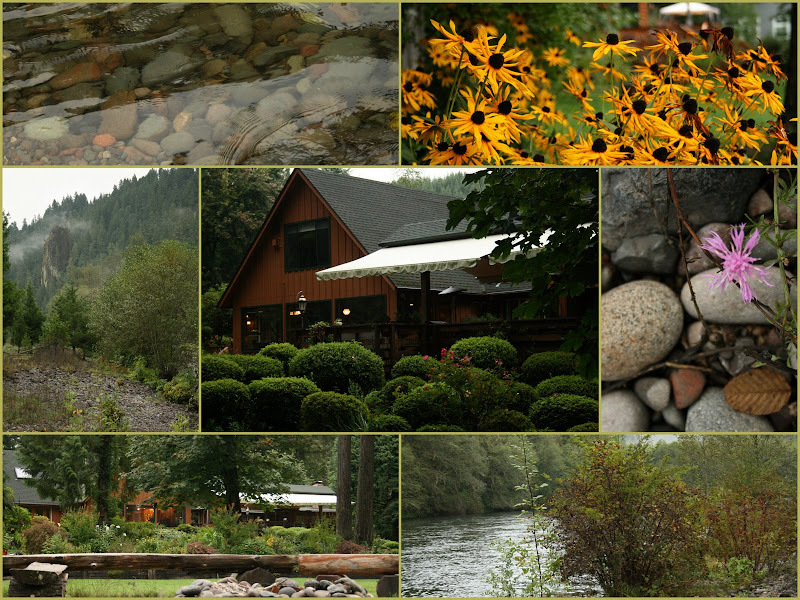 the beautiful grounds and McKenzie River in Oregon. and the breakfast the next morning was spectacular. Definitely a place I could recommend and hope to return to. Can you see the Eagle Rock? It is in the middle left picture. I took a walk early and totally enjoyed the quiet, peacefulness. I am grateful for this time of rest before the busy schedule of autumn begins. schedule of autumn and holidays? This one was just perfect! Amelia Earhart was a strong, successful woman and really a pioneer for women. She never allowed anyone to tell her she could not accomplish what she had put her mind to. As most everyone knows Amelia is known for her dedication to flying and her final flight. 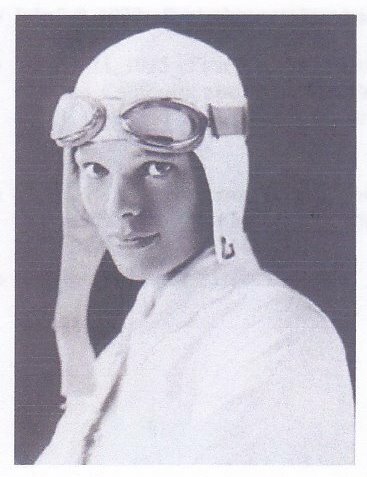 The last flight she ever took was attempting to fly around the world. She knew that no one had ever successfully done it, but she just figured she'd be the first. She disappeared during her trip never to be heard from again, but that single attempt made her a role model for young girls for years to come. In 1932, she was the first woman to ever fly solo across the Atlantic Ocean. In addition, she was the first female to ever receive the Air Force Distinguished Flying Cross. Only a few women proceeding her have been able to receive the same honor. Amelia is easy to identify with her cropped hair, which was almost unheard of at that time, tomboy appearances, and usually pictured around an airplane or on a runway. She also always had on a leather flight jacket which would keep her warm during flights in her small aircraft. One of my favorite Strong Women. carries Marmalady's jams and jellies. They also put them in gift baskets, which is a wonderful idea. 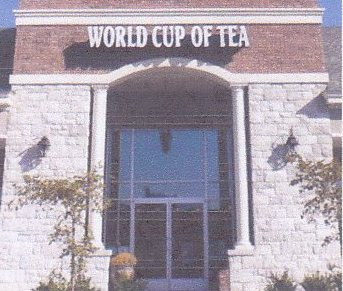 If you are ever in the area of World Cup of Tea stop by and tell them I sent you. "Just sit there and look pretty"
for more thoughts on "Just sit there and look pretty"
Go out and stomp through some leaves. Watch for the harvest moon. Antique shopping and collecting brings me great JOY. but I don't share the stories. we will replace things with nice pieces of new furniture. Well somewhere along the way we fell in love with these old pieces of "junk". Then the search was on for more "junk". home yet another little treasure. The cabinet in this picture has a story. go to a farm sale. I left her there and went home to cook dinner. When I went back to pick her up they were still auctioning things off. barn to see what was there and there was this cabinet. to me and said he would sell me the cabinet for $10. grease; so he started cleaning it and this is what we found underneath. We also found that it was built before the Civil War. The wood was hand planed. My husband soon changed his mind and I was forgiven. We have loved it ever since. Do you like collecting anything? Did you start by choice or was it an accident made into JOY? when I saw this picture I thought it so well exemplifies who she was. What I would want to take from observing her life. living life on her own terms. This is what I see in the Strong Women that I have portrayed the past few months. Soon I will bring this series to an end. 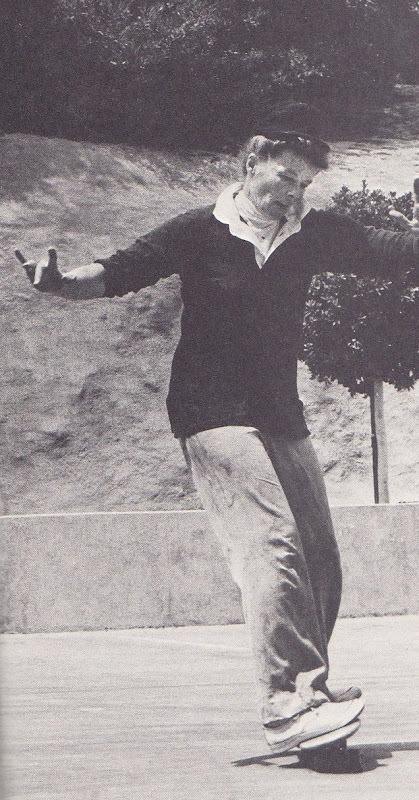 Katherine Hepburn was one of the first ones I put on my list. Who would be one of the first ones you would put on your list? It is said that "an apple a day will keep the doctor away"
I do believe that a small pot of tea can also help. Have a wonderful weekend and have a cup of tea. Blue chairs are my favorite. Yes, kind of weird; but it is what I like. Here are two chair I encountered this past week. yet sitting there so pretty. The second chair I drive by all the time and just love seeing it there. It makes my heart sing each time I see it. and the sun was shining on that blue chair just right. my cameras eye. Oh, I am so glad I did. but they brought me JOY this past week just to see them sitting there. And old, old, smoky beams. And there is candle glow. I will be waiting for your knock. just found for you to share. Date of death: December 27, 2007, assassinated on a second attempt. Benazir Bhutto was born in Karachi, Pakistan to a prominent political family. At age 16 she left her homeland to study at Harvard's Radcliffe College. After completing her undergraduate degree at Radcliffe she studied at England's Oxford University, where she was awarded a second degree in 1977. 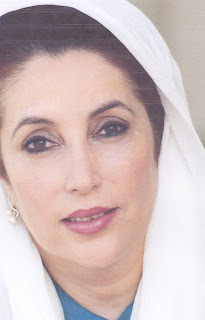 Benazir Bhutto is one of the strongest women I have seen in my life time. She believed she could become the Prime Minister of Pakistan and she served her country twice. From Wikipidia: During the election campaigns the Bhutto government voiced its concern for women's social and health issues, including the issue of discrimination against women. Bhutto announced plans to establish women's police stations, courts, and women development banks. Despite these plans, Bhutto did not propose any legislation to improve welfare services for women. She promised to repeal controversial laws that curtail the rights of women in Pakistan. Bhutto was an active and founding member of the Council of Women World Leaders, a network of current and former prime ministers and presidents. Indeed, she was a strong woman. Song written by Jill Jackson Miller and Sy Miller in 1955. The entrance to Harney & Sons tea shop in Millerton, New York. The Harney & Sons tasting room. over 25 years ago. 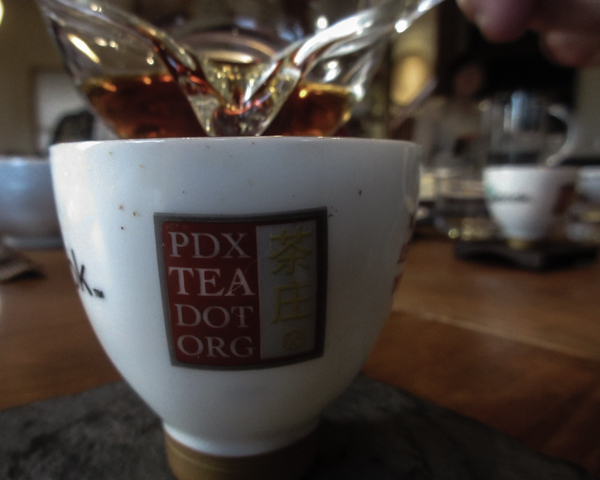 You might find their teas in Barnes and Noble or your favorite tea shop. Earlier this summer John called me and ordered Marmalady's Orange Triple Sec Marmalade for the shop. In the future it should show up on their website, but I didn't see it there today. John has been a great cheerleader for Marmalady's and I have really appreciated it. or if you are in the area of Millerton, New York stop in and visit their shop. Tell them the Marmalady sent you. so I thought I would share my breakfast this very morning. I really am addicted to this breakfast. A cup of good tea, this morning it is Honey Oolong from Taiwan. Homemade yogurt and the best homemade granola ever. A friend made it for me. It has toasted walnuts and cashews, dried cherries, and oh so many more goodies. What was your breakfast this morning? 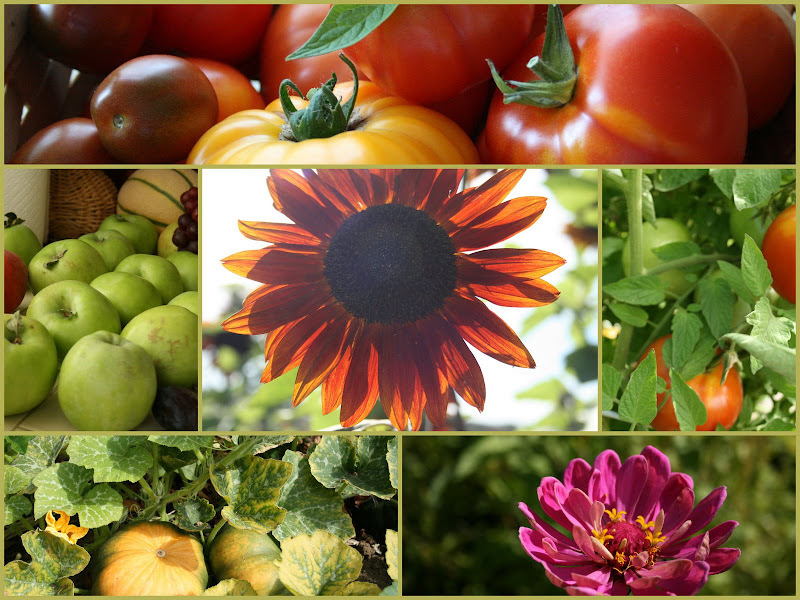 The fruits of our labor hand us a gift from the sun and the earth. There is something so beautiful in this time of the year. The anticipation and preparations for the winter ahead. The tomatoes and apples say "pick me, pick me". Warm tomato slices in thick slabs are placed on the dinner plate. Pumpkins are beginning to show their true colors in preparation for the dark season ahead. Zinnias and sunflowers shine in their glory. JOY is definitely the word for the Harvest time of September. Saturday I had lunch with my sister. We met in a small town south of Portland. There are quite a few antique shops there. but the door was open. I walked in and found this precious lemon yellow teacup waiting for me. I am loving having my morning tea with this little bit of sunshine. Maria Tallchief was brought to my attention after starting this Strong Women series. I had not heard of her. Thanks Mary Jane! Reading about her, I found her fascinating. She was born January 24, 1925 in Fairfax, Oklahoma on the Osage Indian Reservation. She had to overcome prejudice to become a well known ballerina. I am always impressed and notice a strong woman that can overcome animosity and prejudice to succeed in life and Maria Tallchief definitely succeeded as a beautiful ballerina and creator of her own life story. Do you know any strong woman that has persevered and overcome great challenges? Who is she and does she inspire you to be more of who you can be? Tea should be taken in solitude. Can you believe it, I actually had another opportunity to photograph hummingbirds. I am home now, but my time in Wisconsin was precious. 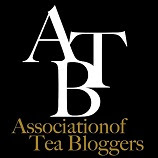 Blogging friends, seeing some new country, having tea in solitude, and enjoying my nephews wedding. 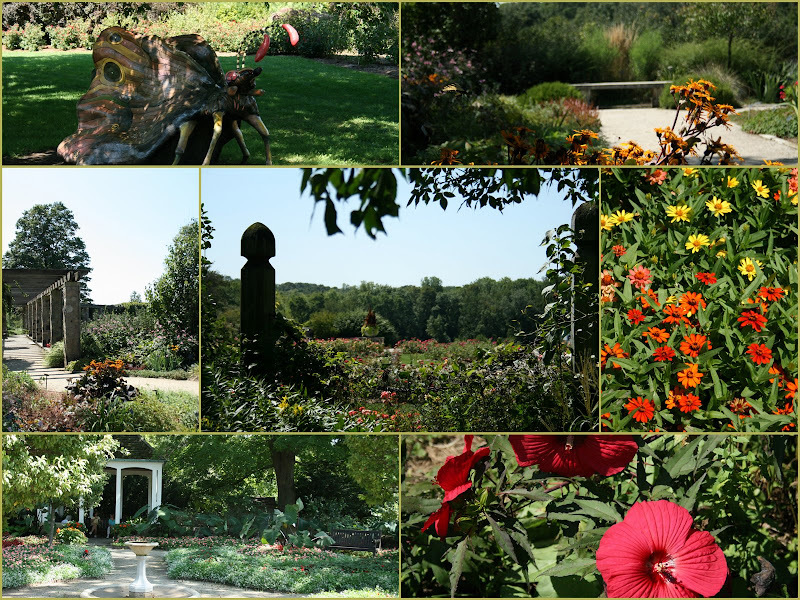 Boerner Botanical Gardens was an afternoon delight. Located in Whitnall Park, Milwaukee, Wisconsin. A living museum of gardens full of roses, herbs, annual and perennial flowers. In the spring there is also a peony garden. There were the largest butterflies I have ever seen. Definitely worth a walk in the garden. Oops, I almost forgot to have the drawing for the Leslie Caron book. My husband just drew the name and the winner is, drum roll please, par tea lady. Maureen, I have your address and it will be sent today. Congratulations! Please read my Wednesday blog below. You don't think I would miss an opportunity to have tea while in Wisconsin, do you? Really I was there for my nephews wedding, but there was still time for tea. so off I went to find it in downtown Milwaukee. I stepped into the door and was amazed at the assortment of china, crystal, and home decorator ornaments. 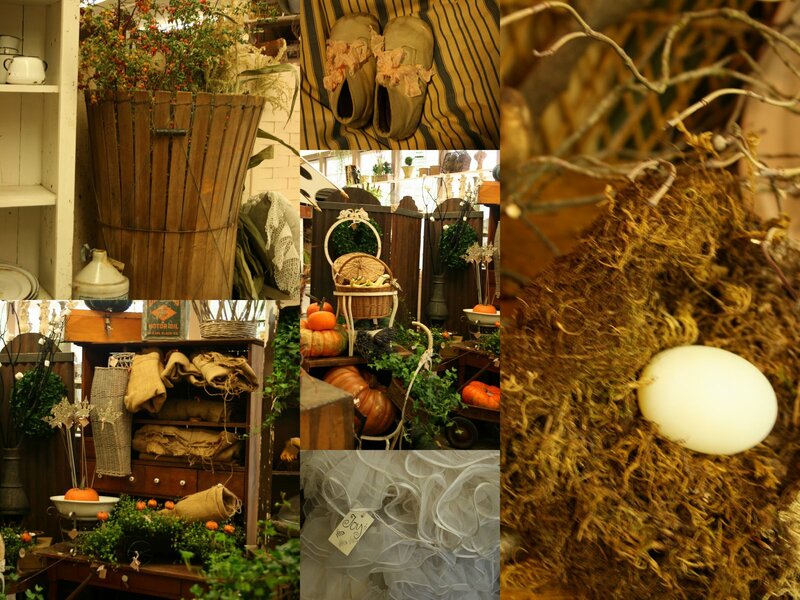 It had the feel of an old, very nice department store with tons of beautiful things. But where was the tea shop, I wanted to know? It was up the elevator to the second floor where there were more beautiful things to see and then the tea shop. Even the tea shop was reminiscent of an older era of department store "ladies that lunch" tea room. I arrived early and they were not serving afternoon tea yet; so I enjoyed there Watts' tuna melt on their own English muffins. For tea I selected their chai tea with milk. The tea and sandwich were quite tasty and enjoyed by me. 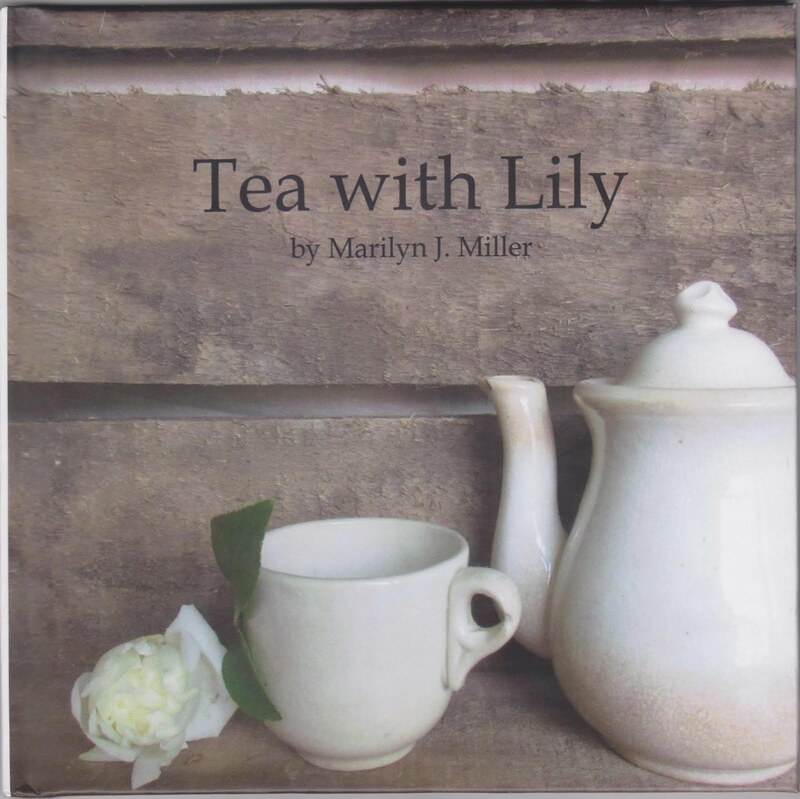 Another tea shop to visit if you are ever in Milwaukee, Wisconsin. Afternoon tea is served at 2PM.